It’s been nearly one and half years since Google author markup and authorship has been on the horizon for bloggers and content creators to leverage for both their own personal and corporate benefits; so it’s high time to take advantage of this and hopefully have Google start enhancing your content by showing your profile picture next to your indexed results in the search engines. To do this, Google’s instructions are to link your blog posts and “About” page to your Google+ profile, and then link your Google+ account back. A great point I want to draw your attention to is, apart from being highlighted for your content in the SERPS, by adding the rel=”author” attribute to your content, Google is creating a way to help beat duplicate content and spammers by having your original content attached to the original author. To spice it up even further, research shows Google has admitted they are creating this as another way to help beat link spam. This means that you now will be creating what may be called author authority. So instead of hunting for authority links, you’ll have to get good at identifying ‘authority authors’ and at indexing content based on the author authority to help with ranking, which starts a whole new networking landscape when it comes to ranking content. But like most things Google is experimenting with, there is still a grey cloud over this. Take a look at the image above. Which of the results are your eyes attracted to? Exactly. The one with the friendly looking profile picture next to it. It’s this fact alone that makes adding Google Authorship almost a no-brainer. 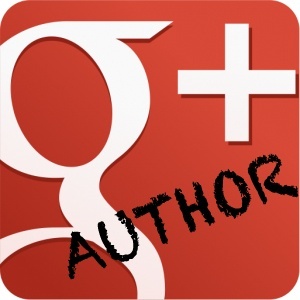 As I said before, there is still some mystery behind Google author authority, but you can bet your money on it, if your content is +1’d and shared on Google+, this will help your author authority...and with that being said, this is why you can’t continue to ignore Google+. But how do you work on getting your own author authority moving upward? Want to learn more? Watch this quick video by Google’s own Matt Cutts and Othar Hansson as they discuss how to connect authors with their content using authorship markup.